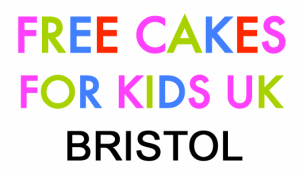 There are two ways you can request a cake from Free Cakes For Kids Bristol. By being referred - this is the most normal route with referrals coming from partner organisations, family support workers etc. Referral in this way means you have already shown you have a need for our services. By referring yourself - we accept self-referrals but you will be asked a few questions as to why your child should receive a cake. We do this because Free Cakes for Kids is here for those who need it the most in our community, it is not for those who have the means to provide a cake but do not want to spend the time, money or effort. As a voluntary community based organisation we are here to help those with a genuine need. Please note that we do not sell cakes for children's birthdays. Free Cakes is a voluntary service provided for families who have a defined need for our help. When you ask for a cake, we will confirm a few details with you, such as the child's age, possible themes for the cake (e.g. fairy, Peppa Pig etc), the date the cake is needed for and a drop-off location. Once we have these, one of our volunteer bakers will bake the cake and deliver it to you. If you are able, a quick response as to how the cake was received is always good as it makes our volunteers know their time has really made a difference to the child's birthday. You should remember that all our cakes our home-baked by volunteers so this is exactly what you get - good home baking and decoration to the best of our volunteers ability. We normally provide plain sponges but if you have any special requests, please let us know and we will try to accommodate them. - We never use nuts, but can't guarantee nut-free cakes (primarily because our cakes are baked in our volunteer's home using generic ingredients). - We avoid non-edilbles such as glitter on our cakes, even if they are sold as 'safe for consumption'. - All of our volunteers agree to meet our hygiene and confidentiality standards. - We are all volunteers and provide home-made cakes, even if we are professional bakers in our work-life.